Mr. Ian Bruce Eichner, Founder and Chairman, The Continuum Company LLC. Criterion’s two projects currently under construction include 11-39 49th Avenue, Long Island City, and 30-77 Vernon Boulevard & 30-80 12th Street, Astoria. 14 years ago, in 2002, Shibber founded Criterion Group, under which he started his first construction project, an 8 unit building. Shibber was intimately involved with every stage of the development platform, from sweeping the site to developing architectural plans and applying for tax abatements. This experience has allowed him to master the entire process of development and construction, including working with the Department of Transportation, Department of Buildings, and acquiring financing. Each project has progressively and organically grown into the large-scale projects, at an average of 300 units per building that Criterion is embarking upon today. As one of the first developers in the area, Criterion continues to focus on primarily multifamily residential projects in Western Queens (Astoria/LIC). Criterion and its staff, all of whom call Western Queens home (most since childhood), are intimately familiar with every block of these inter-connected neighborhoods. Currently, Criterion controls 2.5 million SF of total development rights. Young S. Woo is the founder and principal partner of real estate development firm Youngwoo & Associates. 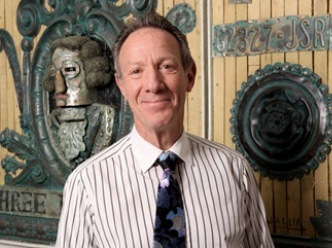 He started the company in 1979 after earning a degree in architecture from the Pratt Institute. His firm recently completed the sellout of the Sky Garage condominium at 200 Eleventh Avenue, a building that includes an elevator for cars. In August 2009, the firm made headlines when it bought AIG’s two office towers, 70 Pine Street and 72 Wall Street, for $150 million, with South Korea’s Kumho Investment Bank. The firm also owns farmland in Paraguay and a winery in Argentina, and has been chosen to develop Pier 57 along the Hudson River. 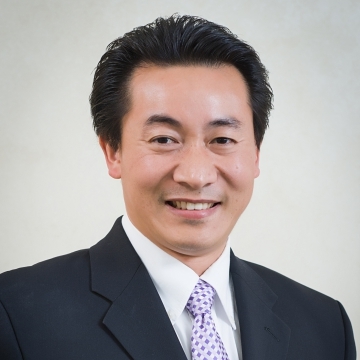 Founded and headed by George Xu, Century Development Group is an integrated Real Estate Development Company. Since the late 1990’s, Mr. Xu has been involved in the developments of residential, commercial, mixed-use and hospitality projects primarily in the borough of Queens, New York. To date, George Xu has worked on over a million square feet of real estate developments; mixed-use developments including residential, hospitality, office, and retail. The total value of his completed projects is calculated to be over $237, 000,000. The net worth of his current and developing projects is anticipated to be over $421,000,000. The total assets of his projects is over $658,000,000. The company has been playing an important role in the real estate market, particularly in Queens County, New York City. Century Development Group’s mission is to create value for our investors, partners as well as the neighborhood and community in which it serve. It believes in Quality, Value and Integrity. Grant Jiao, Managing Director of Gemdale USA Corporation ("Gemdale USA"). 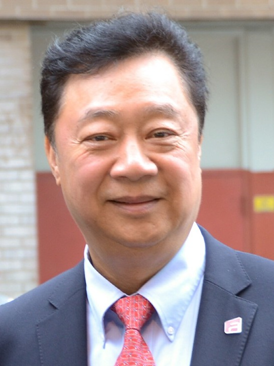 Grant Jiao, Managing Director of Gemdale USA Corporation ("Gemdale USA"). Gemdale USA is a real estate investment and development company headquartered in Pasadena, California. The company also has offices in New York City, San Francisco, Boston, Seattle and Dallas, and develops commercial, multifamily rental and for-sale residential projects. Gemdale USA is a United States subsidiary of Gemdale Corporation, one of China's largest and leading real estate developers, founded in 1988 and listed on the Shanghai Stock Exchange (600383.SH) in 2001. Gemdale enjoys one of the strongest brands in China. Gemdale Corporation has expanded rapidly in size and strength with over two decades of expansion and successful operations. In 2016, Gemdale built and sold over 74,000 residential condominium units in 30 major cities in China. 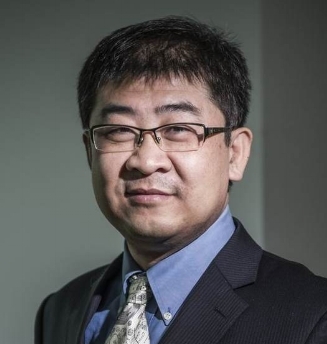 Grant Jiao is the Managing Director of Gemdale USA, responsible for acquisitions and capital market on the east coast. Previously, he had been working on UBS-Gemdale China Real Estate Fund and WINS Investment, a private equity real estate fund house wholly-owned by Gemdale Corporation, in Beijing since early 2010. Prior to Gemdale, Grant started his real estate career in 2003 with Property & Portfolio Research ("PPR"), a prominent real estate research and consulting firm headquartered in Boston, now the Portfolio Strategy division of CoStar Group. Grant later joined Clarion Partners, a leading private equity real estate investment firm, in New York City in 2007, then re-joined PPR to head their Asia-Pacific Services in Hong Kong through 2010. Grant obtained his MBA from University of Rochester and MS from Peking University. He also studied commercial real estate development at MIT Center for Real Estate. He had been a chartered financial analyst (CFA) and a trustee of China Real Estate Association for years. In 1972, John Lam, the Chairman and Chief Executive Officer of the Lam Group, began building his business in the garment industry, and through his hard work and vision, he became the largest garment manufacturer in New York City, operating thirteen garment factories and producing nine clothing brands. Mr. Lam’s garment business created more than 3,000 jobs for New Yorkers and generated substantial income and revenue within the garment sector. Applying the lessons of his success in the garment industry, Mr. Lam subsequently endeavored into the real estate business, and has since become a prominent name in this arena. The Lam Group is a privately-held, comprehensive real estate investment firm experienced in the acquisition, development, and management of various hotel, residential, office, and mixed-use properties primarily in the New York City area. With over 20 years of real estate investment experience, the firm has acquired and developed more than 50 properties. Led by John Lam, who understands that opportunities are made, not found, the Lam Group has built its reputation on the transformation of over 3 million square feet of underutilized properties into highly-desirable assets. Since 1997, the Lam Group has been expanding its real estate investment into the hospitality sector. Now, with over 25 hotels developed from the ground up, 13 in its current portfolio, and 4 in progress, the Lam Group is recognized as a premier developer of branded hotel properties in New York City. Over the years, various organizations have awarded and recognized the accomplishments of Mr. Lam and the Lam Group. In 1990, Mr. Lam was named an All-Star by Crain's New York Business Magazine. In 1997, he received the Ellis Island Medal of Honor Award. In 2006, Mr. Lam received the Man of the Year Award presented by the Chinese-American Planning Council for his grassroots social service for his community. In 2009, he was honored as one of the Ten Outstanding Chinese Most Influential Entrepreneurs of 2009 by the China International Economic Cooperation Society of Ministry of Commerce. In 2012, the Lam Group was named Developer of the Year for Select Service Hotels by Starwood Hotels & Resorts, which also deemed its Aloft Brooklyn as the Best New Built Select Service Hotel of the Year. In the same year, InterContinental Hotels Group also named Lam Group Developer of the Year for Upscale Hotel for the Indigo Brooklyn. In 2014, Mr. Lam and the Lam Group were honored with the Top 10 Asian American Business Award by US Pan Asian American Chamber of Commerce - Northeast Chapter (USPAACC). In 2015, Mr. Lam received the Career Builder Award by US CMP (Career. Mobility. Partnership), the Outstanding Chinese Award by the Ming Pao Daily News for his leadership and influence among Asian Americans, the Golden Horse Award of China Hotels, and was named Developer of the Year from Marriott for the Renaissance Brand. Mr. Lam serves on the Board of Directors of East Bank and sits as the Honorary President of Greater Blouse Skirt & Undergarment Association, which represents roughly 35,000 workers, he is a Board Member of the New York City College of Technology Foundation, a member of the 9th Overseas Committee of the Federation of Returned Overseas Chinese, is the Founder and Chairman of the China-US Hotel General Chamber of Commerce, and serves as the vice president of the US-Chinese Chamber of Commerce.